People do not readily adopt new crops or foods. Which new domesticates, then, are most likely to be adopted? We can answer this question by looking at three crops adopted by the southeastern Indians from Europeans during the early years of first contact. These three crops are watermelon (Citrullus vulgaris), peach (Prunus persica), and cowpea (Vigna species). The watermelon, originally from Africa, was introduced to the southeast by the Spanish. Its use spread so quickly that by the 1600s the French encountered it under cultivation by Indians around the Great Lakes and along the Mississippi River, where the Indians said they had been growing it forever. 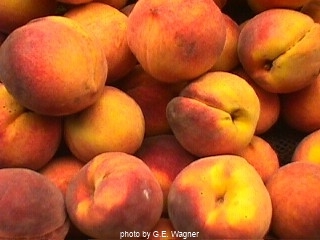 The peach, originally from Asia, was also introduced to the southeast by the Spanish, who grew it in their mission gardens. 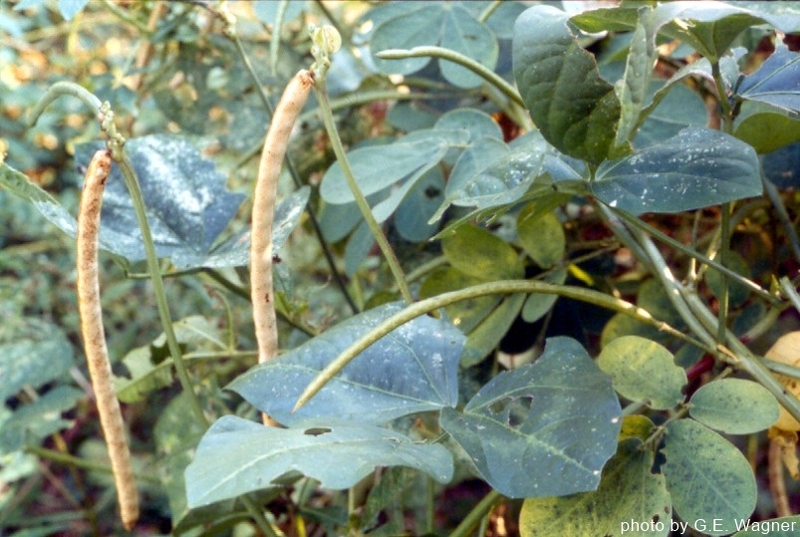 Although cowpeas are found associated with Spanish trade goods at one site in Alabama, it remains possible that its mode of transmission was through African slaves rather than Spanish colonists. Several characteristics of each of these crops (besides their good taste and high nutrition) likely contributed to the speed with which they were adopted by southeastern Indians. First, because all were incorporated as dietary supplements, their adoption posed little risk to the Indians. All three produce high yields relative to the work needed to cultivate them, and all do well in the hot, humid southeastern summers. Perhaps most importantly, all three are cultivated by methods that were already well known by the Indians, negating the necessity to learn new agricultural techniques. These same factors probably played a role in the decision to first begin cultivating corn, a foreign crop that was introduced to North American Indian farmers experienced in growing their own native crops (see "The Three Sisters"). The colonists, for their part, set out to replicate Europe at their new home in America. What they discovered was that in order to adapt to their new surroundings, they sometimes had to adapt to native crops. For example, wheat and wine grapes necessary for communion among the Spanish were not easily grown in South Carolina. Along the eastern seaboard, colonists quickly adopted maize and other native crops and wild foods from the Indians, overlaying on top of them those European or Caribbean crops and livestock that could survive in this new environment. Whereas Europeans adopted the use of the corn crib or barbacoa from the southeastern Indians, the Indians did not readily adopt the use of the plow from the Europeans. Likewise, Europeans also began to use fire to manage vegetation. However, although they adopted the custom, they did not apply it in the same way in which the Indians had, resulting in the development through time of new vegetation associations. Worker hoes the re-created A.D. 1250 garden at SunWatch Village, Dayton, Ohio. Note that sunflowers border areas of maize and beans, separated by aisles of squash and gourds.